David V. Thomsen, 59, of rural Moscow, died of an apparent heart attack on Saturday, December 1, 2018 at his home. Following David’s wishes he was cremated and a celebration of life will be held on Saturday, January 5, 2018 from 1:00 to 4:00 pm at the Tipton V.F.W.. All family and friends are invited and the dress code is casual. A memorial fund in his memory has been established. Online condolences may be shared at www.fryfuneralhome.com. David was the son Thomas Thorvald and Barbara Jean Chapman Thomsen. He was born on December 9, 1958 in Muscatine, Iowa. David was a 1976 graduate from Tipton High School. David was united in marriage to Leigh Ann Capshaw on June 23, 2005 in Tipton. David was a process engineer and machine operator for Lewis Industries in Muscatine. 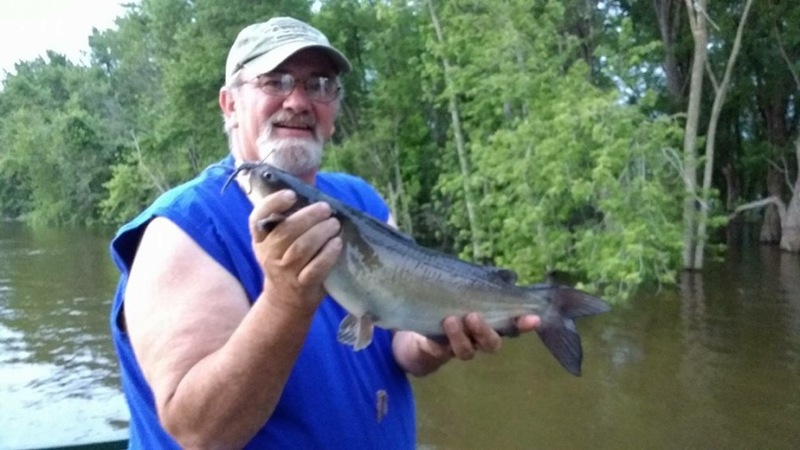 David loved to hunt and fish and be outdoors. He died suddenly after returning from doing what he loved – hunting deer. David is survived by his wife, Leigh Ann Thomsen of Moscow, Iowa; daughters, Nikki Thomsen (Troy Harsh) of Des Moines, Iowa and Beth Thomsen of Wilton, Iowa; Stepsons, Jimmy Sell (Lynn Lackey) of Muscatine, Iowa and Jeff (Amy) Sell of Muscatine, Iowa; sisters, Jeanne (Bill) Ely of Mulberry, Florida, Marie (Larry) McLeod of Central City, Iowa, Penny Werling of Atalissa and Joleen (Ray) McGee of Newton, Iowa; brothers, Richard (Connie) Thomsen of Columbus City, Iowa and John (Jacie) Thomsen of Rochester, Iowa; 4 grandchildren, Ryan Miller, Jake Sell, Whitney Sell and Katelynn Sell; and 2 great grandchildren; many nieces and nephews. David was preceded in death by his parents.